Organized first to last by date of release. 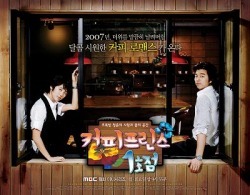 First aired in March 2010, it is the first Korean prime-time drama to include a storyline about a gay couple's relationship. Song Chang-ee (송창의) plays Yang Tae-seop (양태섭), A doctor, who is in a relationship with a photographer named Kyeong-soo (경수) Played by Lee Sang-woo (이상우). Broadcast date: March 2010 - ? I guy pretends to be gay to get the girl. Kim Tae-hwan and Kim Kyung-Wook perform 'That's very hot' on an improv show called People Seeking Laughter or in Korean Utchasa. I know, they are parodying gay stereotypes, but aren't they cute? Broadcast date: February 13 2009 - ? 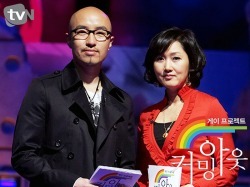 Hosted by Hong Suk-cheon and Jung Kyung-soon. Coming Out documents the day-to-day lives of gay people living in Korea. Guy falls in love with a girl who is actually a boy.